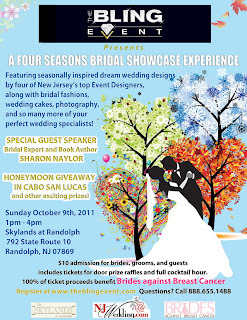 Attention brides located in northern New Jersey and New York City, Ambient DJ is scheduled to appear this Sunday October 9, 2011 at "A Four Seasons Bridal Showcase Experience" at the beautiful Skylands at Randolph. This event, thematically developed around the four seasons, has been organized by our friends at The Bling Event. Bling's mission is to provide a luxury event experience for its clientele. At the Four Seasons Show, brides will be able to walk through rooms and have an opportunity to imagine what their wedding day can look like in each of the four seasons - with inspired decor, entertainment, delectable tastings, bridal fashions, and exceptional service. All of the event details are shown on the flyer below. 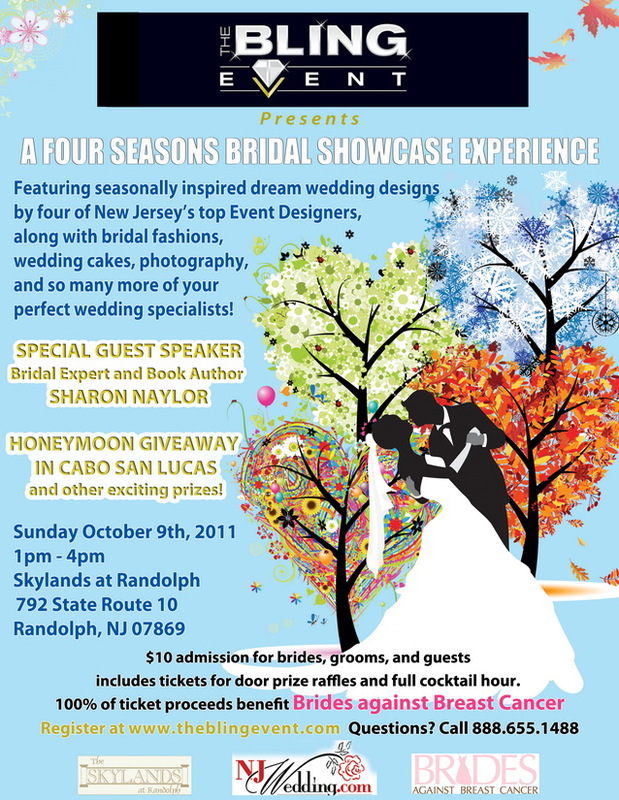 Amenities include a free honeymoon giveaway to Cabo St. Lucas and a presentation by Sharon Naylor, an expert who has authored over 30 wedding planning books! Ambient DJ Service will have a table in the exhibits area, and also provide a showcase presentation in the Coral Ballroom somewhere between 3:00 and 3:30 PM. 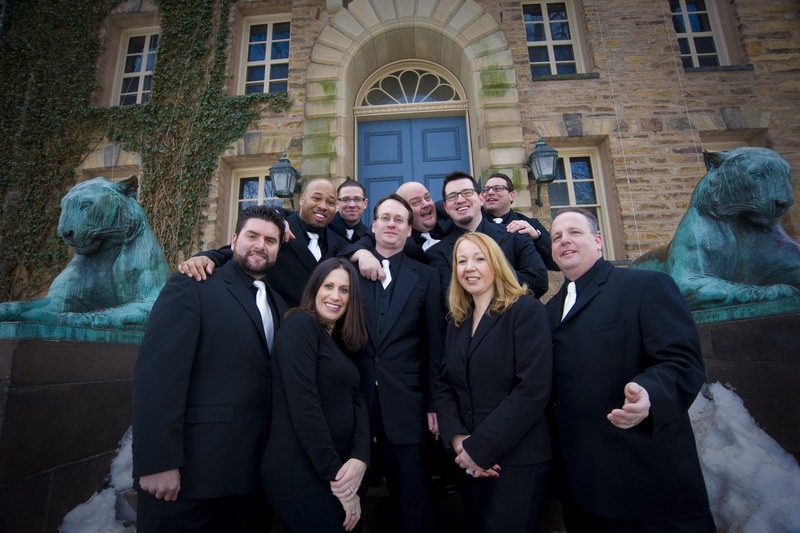 Please stop by to say hello and meet our marquee DJs! We're sure to have some special surprises up our sleeves as well!